Plumber installs a shower valve in new construction. With this particular valve, you can choose between thermostatic and pressure-balancing cartridges and various finishing trims. A closeup of the valve is shown at the bottom of this article. This unbiased thermostatic shower valve buying guide will show you how to buy the best scald-free or pressure-balance valve for safe and comfortable showers. Here’s the typical scenario: Just as you’re enjoying a nice, warm shower, a blast of icy cold water races shivers down your spine. Or, worse, somebody flushes a toilet and the shower water sizzles your skin. Startling thermal shocks from cold or hot water can trigger serious falls, particularly in older or physically challenged people. And, because children have thinner skin than adults, they are especially vulnerable to scald burns from hot water. 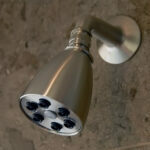 Thermostatic anti-scald shower valve makes a shower safer and more comfortable. Buy on Amazon. For a simple scald-prevention measure, lower the water heater thermostat to 120 degrees F. To check your hot water’s temperature, place a meat thermometer in a glass and run hot water into it for two minutes. 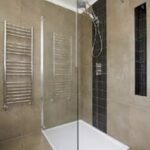 The way to eliminate those temperature shifts is to install a pressure-balance anti-scald valve or thermostatic shower valve in the shower wall where the shower controls are located (see How a Shower Works). This holds true for bathtubs, too. 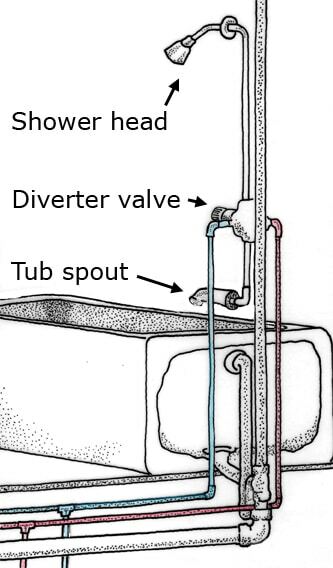 A thermostatic shower valve may control only the shower or the tub spout or, if it is a diverter valve, both tub and shower. These maintain water temperature at a safe level, despite fluctuations in water supply lines. The problem that causes temperature fluctuations is basic. When a toilet is flushed, cold water flows into the tank to refill it, causing the water pressure in the cold water pipes to dip. If this happens when you’re showering, less cold water reaches the shower valve, changing the comfortable hot/cold mix to hot only. If someone turns on a hot water faucet elsewhere in the house, the opposite can happen—the hot water drops and you get a shot of cold. This problem is exacerbated in plumbing that’s clogged with mineral deposits, in relatively small (1/2-inch or smaller) supply piping, and in showers with low-flow shower heads. 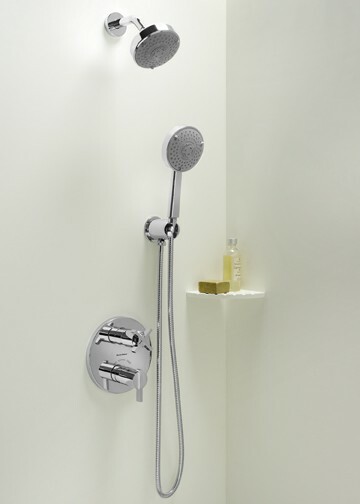 With pressure-balance shower valve, diaphragm changes with water pressure to maintain a balance of hot and cold water. A pressure-balance anti-scald valve is designed to compensate for changes in water pressure. Though it looks like any other shower or tub valve from the outside, it has a special diaphragm or piston mechanism inside that moves with a change in water pressure to immediately balance the pressure of the hot and cold water inputs. 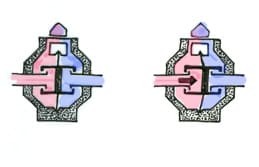 These valves keep water temperature constant, within plus or minus 2 to 3 degrees F., by reducing water flow through either the hot or cold supply. Most reduce water flow to a trickle if the cold water supply fails. Flow can be a problem with pressure-balance valves, particularly in homes where the shower includes a personal hand shower and/or a multiple-head shower system. Most pressure-balance valves are either full-on or full-off. 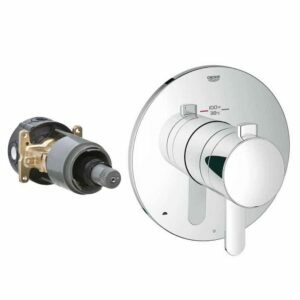 Thermostatic shower valve is built into the diverter valve with this contemporary model. Buy on Amazon. Where flow and volume control are important, a better choice is a thermostatic shower valve. Most of these have 3/4-inch inlets that can blast a flood of water through multiple shower heads and will maintain the water temperature within 1 or 2 degrees F. of the set temperature. “Choose a thermostatic over pressure-balance valve if you want maximum flow and volume control,” says Rick Brandley of George’s Pipe & Supply in Pasadena, California. ”A thermostatic valve will allow you to maintain a set temperature when you turn the valve off and on if you like to soap up and then rinse.” Of course, you’ll pay for the difference. Whereas a pressure-balanced valve will typically cost from $80 to $250, a thermostatic valve with a volume control (a separate feature with most), may run $400 or more depending on the features and trim. The popularity of valves with scald-protection is driven by codes that require these products in new construction. In addition, all major plumbing certification and code organizations have adopted anti-scald requirements that call for plumbing fixtures to have a built-in means of controlling maximum water temperature delivered through tub spouts and shower heads. Can you replace an existing valve with a scald-free model? You can, but the difficulty depends on the existing valve. 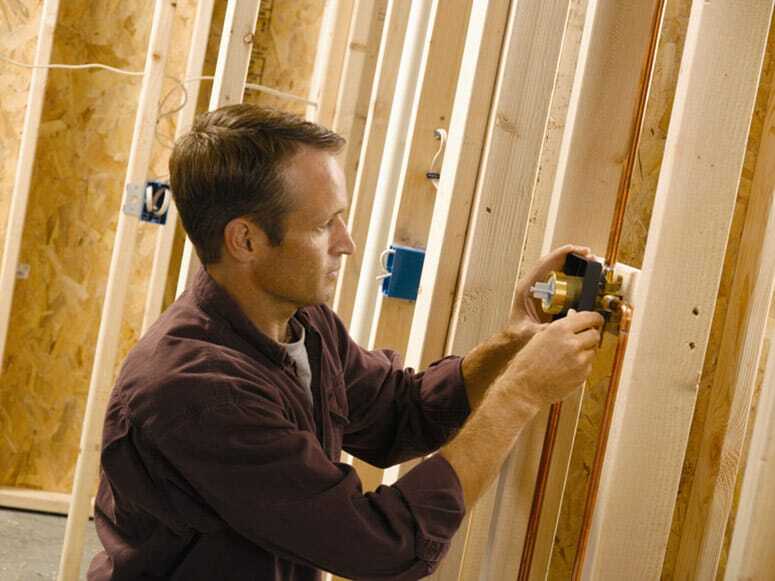 A plumber can usually replace a single-handle, conventional valve with a pressure-balanced valve after removing the handle’s trim (if there isn’t access from behind the wall). Replacing a dual-handle setup is a little more involved and may call for removing some tile or cutting into the wall. Several valve manufacturers sell “remodel plates” to cover up the cut-out area. This closeup shows the construction of a shower valve that’s designed to receive different types of cartridges and trims. Buy on Amazon. 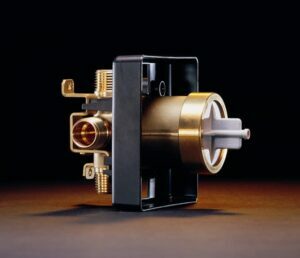 Delta’s “MultiChoice Universal Valve” can receive various types of trims and internal workings. During installation, a plumber can select between a couple of different types of thermostatic or pressure-balance cartridges that fit inside the valve. 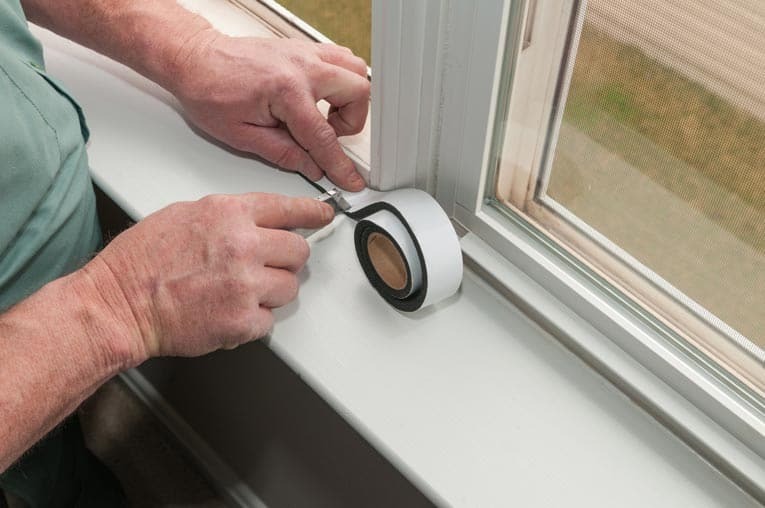 Then, after installation, any of several trims can be selected, depending upon the style and finish the homeowner prefers.